The great blue heron (Ardea herodias) is a large heron,common over most of North America and Central America as well as the Caribbean and the Galápagos Islands. It is a rare vagrant to Europe. The Grey Heron (Ardea cinerea) is very wide spread. It breeds in Europe as far west as the Azores, and north to Harstad in Norway, in Africa, both north of the Mediterranean and sub-Saharan Africa, down to South Africa, in much of Asia and on islands in the Indian Ocean. 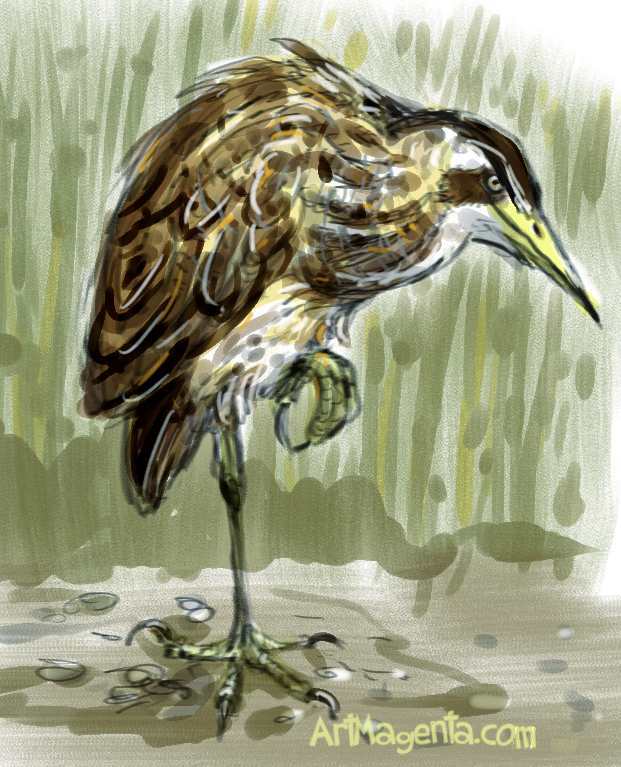 The green heron (Butorides virescens) is a small heron of North and Central America. Green Herons are extremely rare vagrants to western Europe, individuals from the Pacific coast of North America may similarly stray as far as Hawaii. Eurasian Bittern (Botaurus stellaris) is spread over Europe, Asia and Africa, and is more common in Eastern Europe and Asia.